What a strange topic, it feels quite weird even to bring it up. After mandatory training, posted policies, and tons of wasted energy you’d say that is a dead horse. Alas, offshore-related sexual harassment could quickly grow into a real problem if not dealt with promptly. The trap is actually right one the surface: the standards of office behavior vary greatly across the world, with US culture being one of the most restrictive. Another aspect is a different social position of women in other countries, with US being one of the most advanced. I am not about to get into insinuations about what’s right or wrong, my only objective is to highlight a potential trap. Many outsourcing companies, even large ones, with advance cultural training and extensive experience working with US companies do not get remotely close to what’s needed to prevent actions of their associates that could be considered sexual harassment by US standards. Not so long ago I had a large group of offshore resources working onsite as an integral part of my team. In period less than a year we had three complains related to sexual harassment that required management involvement. One was a case of “unwelcome sexual advances”, another two related to emails with vulgar jokes and graphics. 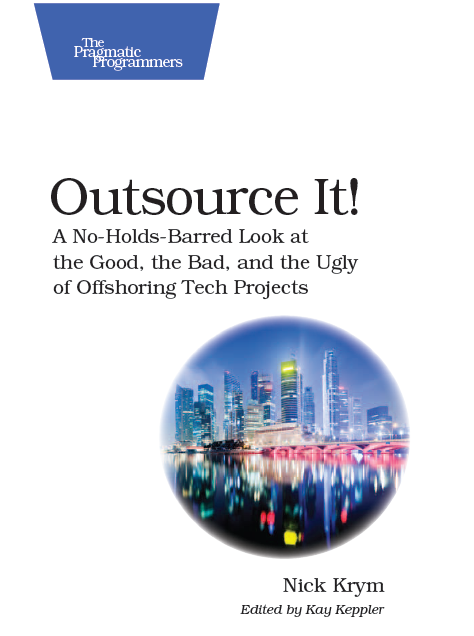 One of the cases resulted in associate being fired, all three demanded great deal of effort for resolution and dealing with unhappy employees from the core team… The most surprising thing about these cases was complete ignorance of senior members of the offshore team who were supposed to deal with the incidents on the topic; that was in particular alarming that the vendor was a top tier Indian outsourcing firm. The right and easiest approach of dealing with this trap is tackle potential issues that may arise from vendor’s ignorance in standards of business conduct far before you face an incident. While that appears to be “vendors problem” my strong recommendation is to deal with it yourself, at least control / verify how vendor deals with this issue. If you have a group of offshore resources working onsite the easiest thing to do is to put them through corporate s/h training. If you do not have one in place you should hire professionals or run one yourself. There are plenty of materials you can find on the topic; including below is a slide deck I use for training. Another important activity you may want to consider is educating your employees about cultural differences and standards of office conduct they may encounter with. That’s especially important if you consider sending your employees to work as a part of offshore team. It’s a cultural difference thing and also sometimes due to language barrier. Sometimes the members from the offshore team wanted to chat a little bit but there are really not many common topics between a Chinese or Indian born man with a US born lady. So they talk about the looks about the ladies with the ladies and people growing up in the US and who have no personal interest in those Indians and Chinese feel greatly insulted. I have to say birds of a feature flock together.